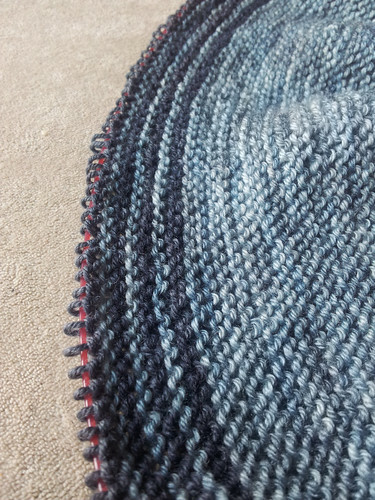 As I have finished two enormous shawl projects (yes my circular shawl is complete, it just needs photographing) I thought I'd cast on another one! This project is one I've been longing to do since the pattern was first released. 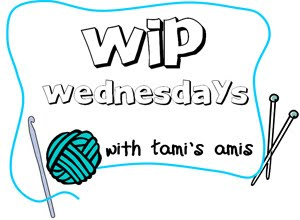 It has all my favourite things; colour, stripes and garter stitch. It was so frustrating that the pattern was only available as a kit for a the first few months, but as my wallet was bare of the $89 it cost, I waited patiently for the pattern to be released solo! I am, of course, talking about Color Affection, designed by Veera Valimaki of 100% Rain. Veera designs simple and elegant but quirky items. They are all instantly appealing, but this was the first one I HAD to make. They all have different fibre contents, but it doesn't seem to matter much. The Sweet Feet Sock is amazingly soft and smooth, which is why I chose it for my main colour, as that is the yarn next to my skin. I am making good progress and I have started using all the yarns though, the most recent photo I have, is from right at the beginning. 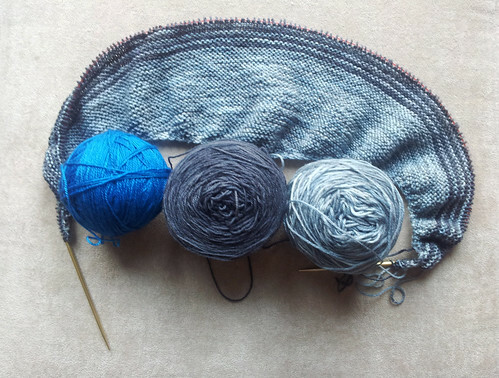 I have listed the project on Ravelry as Cloudy Skies, as this is what this colour combination makes me think of! I love that all three yarns are semi solid, as that gives a more blurred appearance to the colour changes, I have a feeling that I will enjoy this knit right to the end! The only thing I'm not enjoying is working with three yarns at once as they are getting twisted up all the time. I have also been making progress on my cot quilt. I think I got a kick up the backside when the recipient was born yesterday! We are going to visit in about 10 days, so it might just be possible to get this thing done, if I don't muck about with fancy quilting. I think it might well be stitch in the ditch all the way! I have a slight problem with the quilt. I have been using my 1/4 inch foot, was zipping along all happy, and then I realised that it wasn't sewing a scant 1/4". By the time I realised I only had 2 blocks left to do, so I carried on, so at least there is consistency. I looked at the needle position and realised that it needs to be over to the right, instead of in a central position. Ah well, lesson learned, I just wish there had been a note somewhere about it. At least this wasn't a complicated quilt with lots of seams. 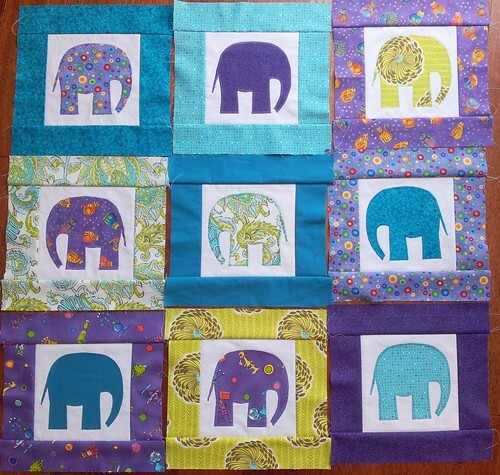 The finished quilt will be slightly smaller than intended, but it won't really matter. I have cut all the sashing strips now, and I have chosen a fabric for the backing. It is a bright yellowy orange and I'll probably break it up with a strip of some of the fabrics from the top which will blend well, such as the cats, spots and aliens interspersed with white. I know this quilt is taking forever and I am cataloguing every little thing, but I've always said that this blog is mainly my online notebook, so I can find my notes when I need to. This is the first quilt that I have a deadline for, and intend to finish, and the first using this machine, so I need to keep careful and detailed notes for future reference! I hope it isn't boring you too much! Go and click the button to find some more works in progress!